The perfect family... or the perfect lie? When a child’s scream pierces the night, Mira does what any good neighbour would do: she calls the police. She wants to make sure that Rosie, the little girl next door, is safe. Opening her front door to the police the next morning, Gemma's picture-perfect family is forced under scrutiny of social services. 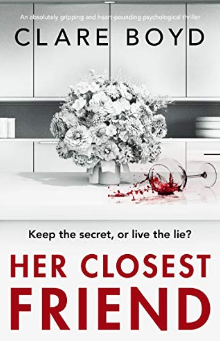 As her flawless life begins to crumble around her, Gemma must fight to defend the family she loves and protect her daughter from the terrible secret she’s been keeping. But who has Rosie been confiding in when Gemma's back is turned? And why has she lied to the police? A razor-sharp, tense and utterly engrossing page-turner about the people we choose to trust and the secrets we keep behind closed doors. "An extremely addictive and disturbing read... Clare Boyd is an author I hope to be hearing more about in the future." "A heart-wrenching and enthralling read." "A thrilling, tense, roller-coaster of a story! 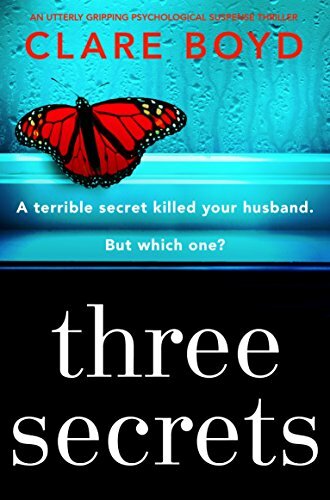 One of the best psychological thrillers I have read this year."